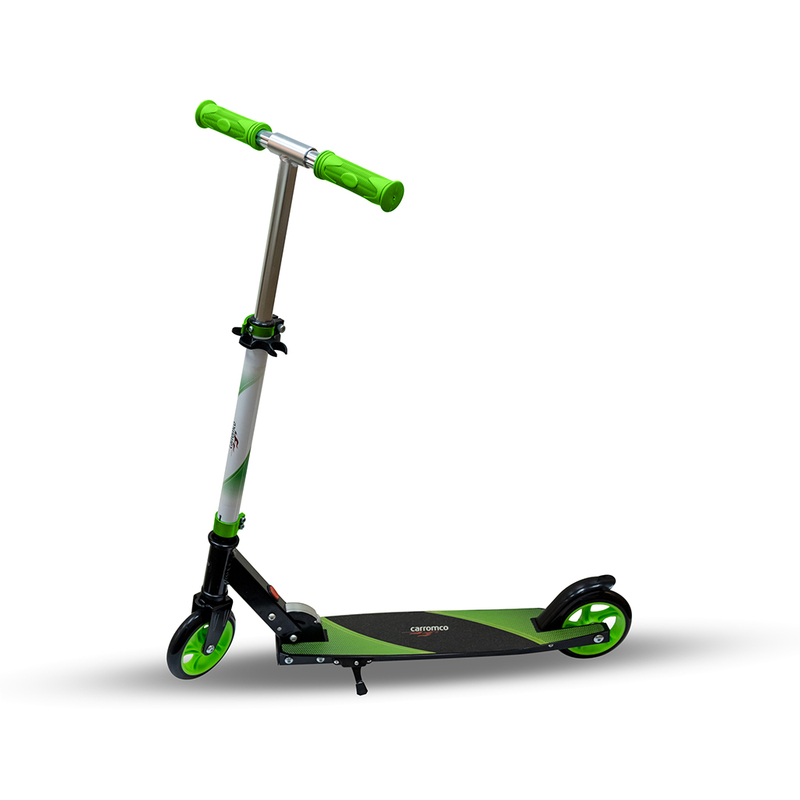 SCOOTER-XM 145 GREEN | Products | Carromco - License To Play! 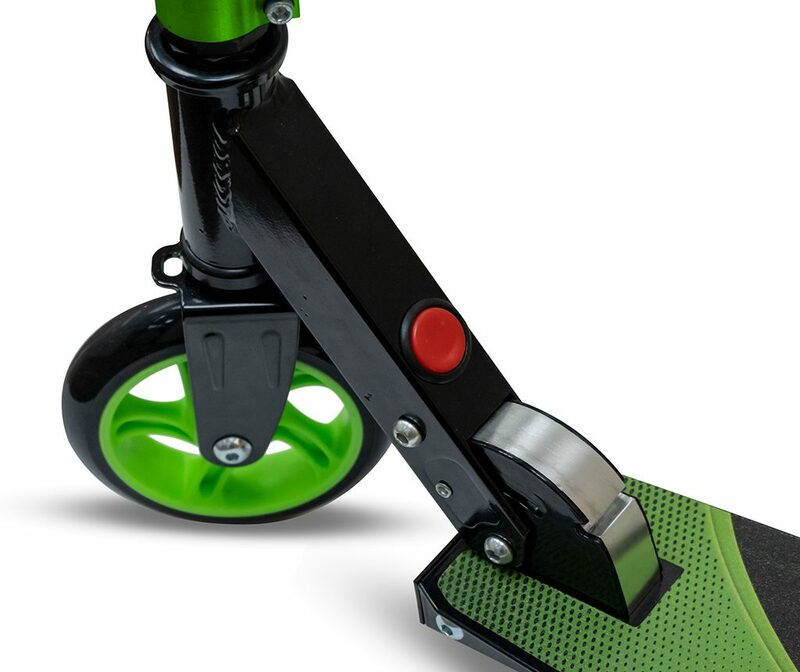 Premium quality Scooter with 145mm PU Wheels and patented „one-click“ folding system. 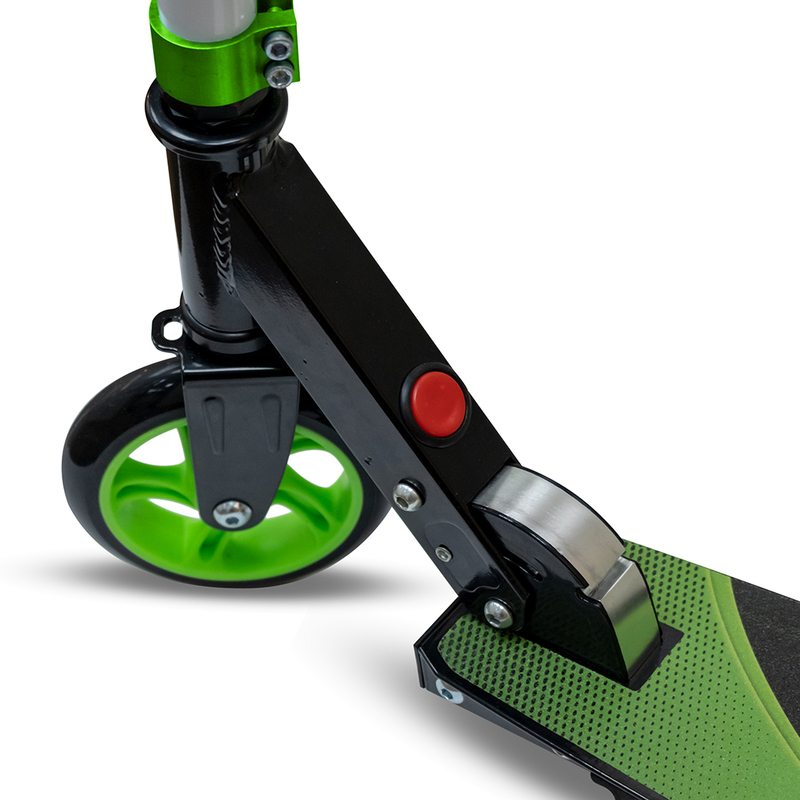 A special one-arm rear wheel suspension gives this Scooter an extra sporty look. 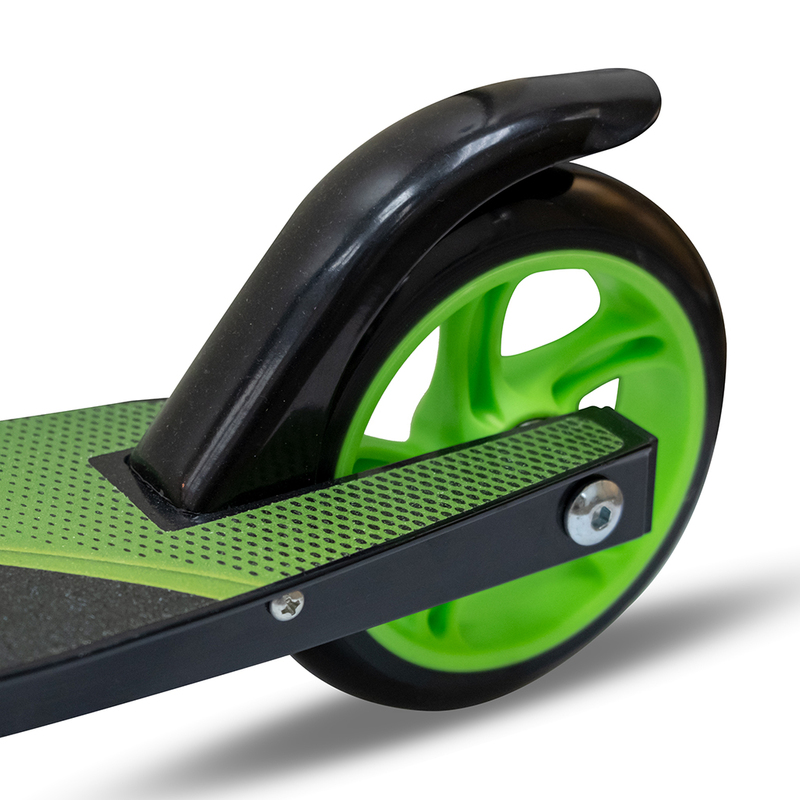 Low-rider deck construction supports and ergonomic riding posture. 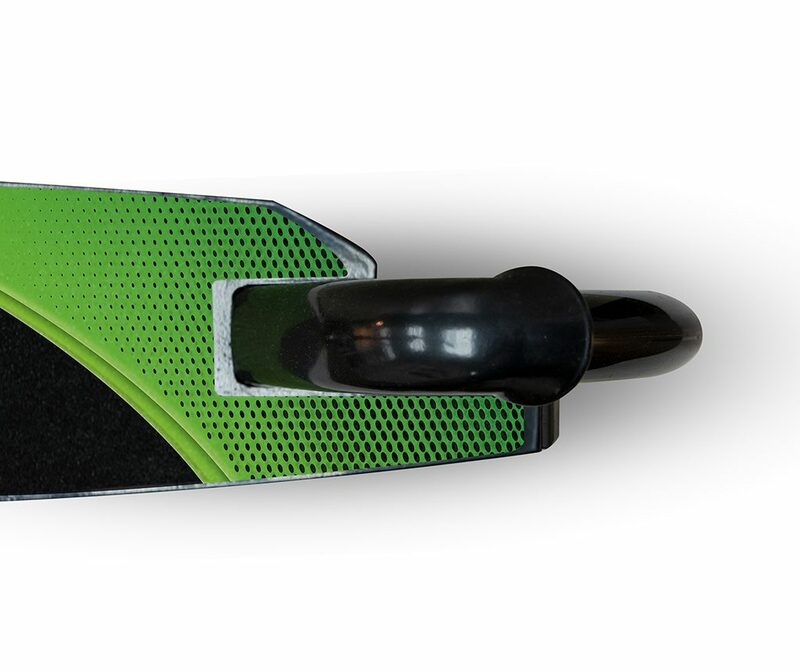 Height adjustable handlebar with TPR-handles. 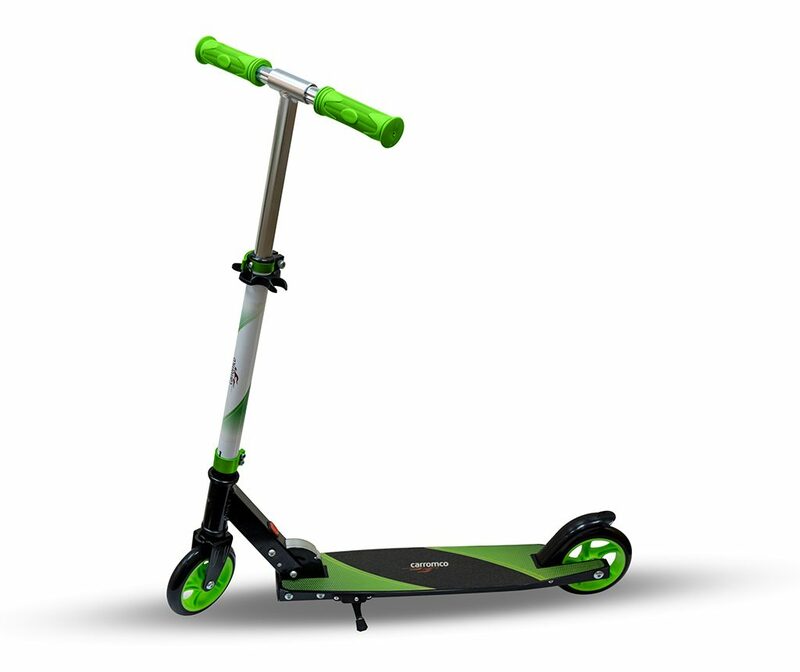 Including sturdy rear wheel foot brake and kickstand. 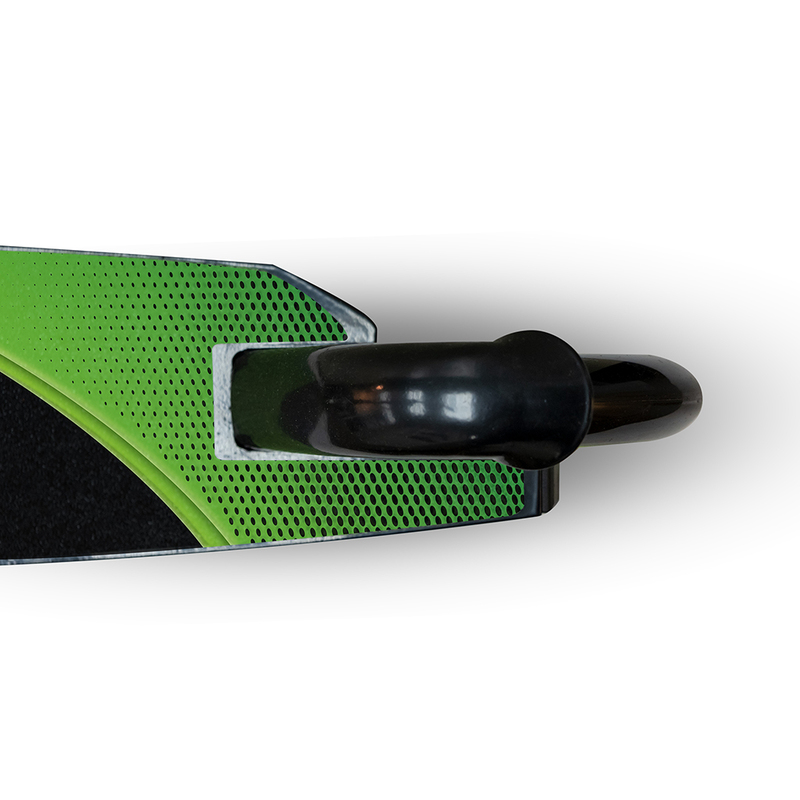 Maximum user weight 100 KG. 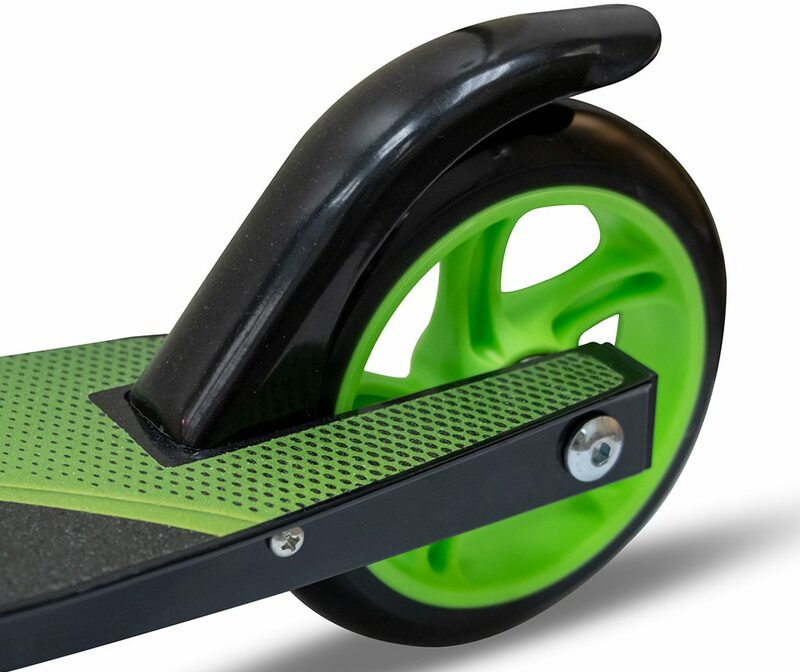 The scooter is equipped with high quality 6000ZZ wheel bearings.